Check out Tobi's So Lost Sweater Dress Trust us, nobody's getting lost in this minimal sweater dress. 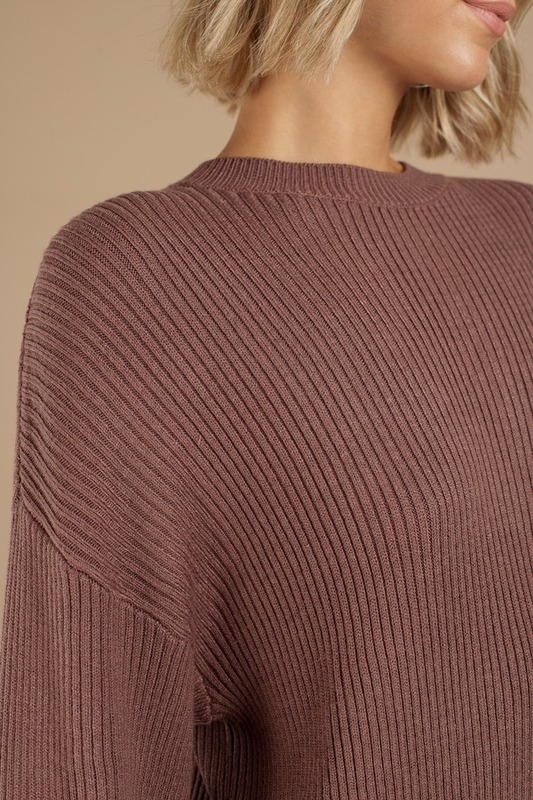 The Blush So Lost Sweater Dress is a rib knit casual dress with a crew neckline and dropped shoulders for a relaxed look. Pair this slouchy sweater dress with booties for oh-I-just-threw-this-on chic on the weekend.